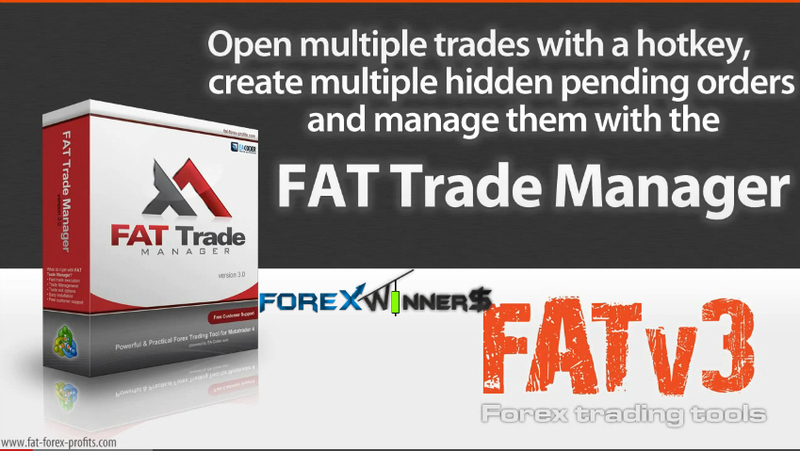 FAT Trade Manager is the Expert Advisor (EA) for the MT4 platform that will help you open trades easily with a simple keyboard key shortcut like Alt+4 for BUY trades and Alt+5 for SELL trades. It is called manager because it will manage your trade after it is opened using this software. You can set manager to use trailing stop or close trade using Moving Average (MA) and/or Parabolic SAR (PSAR) indicator(s). It is like having these indicators act like a hidden stop loss in case the price reverses. When opening a trade you can set EA to use fixed lot size or calculate the lot size automatically based on your “risk in percent” and available account equity. Set EA to risk 1% per trade and have your trades opened with one keyboard shortcut. It does not matter what stop loss you will use and how much equity is available, EA will do its job and calculate the right lot size opening a trade in seconds. Example if your available equity is 2,000$ and you want to risk 1% per trade which is 200$. With your chosen stop loss of lets say 50 pips you need to open 0.4 lot size trade. In this case if the price hits stop loss you lose 50 pips which is exactly 200$ or 1% or your equity.